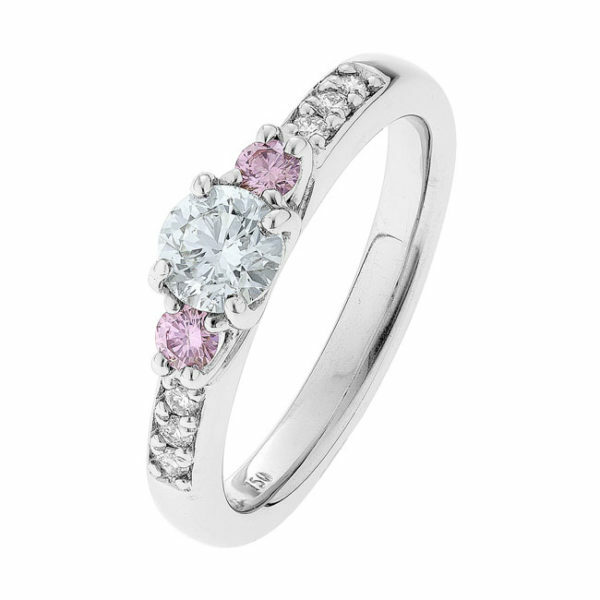 A diamond engagement ring that is truly, Kimberley. Featuring a brilliant white diamond, further enhancing the two stunning Argyle Pink diamonds, and made right here in Broome by Jodi, this ring is a memory of the Kimberley that will carry on through generations. Argyle pink diamonds are the rarest of rare with less than a teaspoon being discovered in an entire year and the mine to cease production in the not too far future.